Bishop Eamon Casey, who was 86 in April, lives in a nursing home in Co Clare. He is suffering from Alzheimer’s disease. Ordained for the diocese of Kerry in 1951, he was appointed chaplain to St Ethelbert’s parish in Berkshire, in England, in 1960 and was involved in helping Irish immigrants to buy their homes. He was the first chairman of Shelter, the housing charity set up in the UK to put pressure on the government and local housing authorities. He was appointed bishop of Kerry in 1969 and in 1973 helped to found and was the first chairman of the Catholic aid agency Trócaire. In 1976 he became bishop of Galway and Kilmacduagh. A vocal critic of US foreign policy in Central America, in 1980 he attended the funeral of Archbishop Óscar Romero in San Salvador, during which bombings and gunfire killed about 40 people. In 1984 Bishop Casey refused to meet the then US president, Ronald Reagan, when the latter visited Galway. In May 1992 this newspaper revealed that he had had a son, Peter, with an American woman, Annie Murphy, and had used diocesan funds to make payments to Murphy for their son’s upkeep and education in the US. This money was repaid to the diocese within days of the revelations. Bishop Casey fled to New York and worked for five years with the Missionary Society of St James in Ecuador. 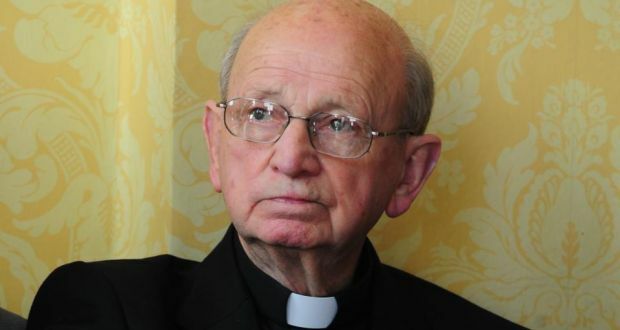 After that he worked at a parish in the English Catholic diocese of Arundel and Brighton until 2006, when he returned to the small rural east Galway parish of Shanaglish, where he remained precluded from public ministry. He was admitted to the Co Clare nursing home two years ago this month.